The Australian International School PNG is relying solely on school fees and third party support to finance the school and make our AIS-PNG community spin. It is highly encouraging and heart warming to receive the generous support from the parent community who spend so much valuable time in the school. You all deserve a special mention and AIS-PNG could not run without you! Nowek Developers ltd. NOWEK Developers Limited is a construction company with a cement batching facility and mass-production brick factory located at 9 mile Kamaliki. Nowek has been a generous supporter to the Goroka and Kamaliki communities for many years. We are very glad to be able to mention Nowek for its support in making our science lab a reality. 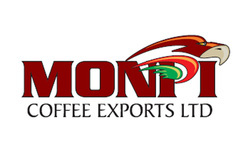 Sustainable Management Services PNG and Monpi Coffee Exports Ltd for continued support for our community outreach projects.